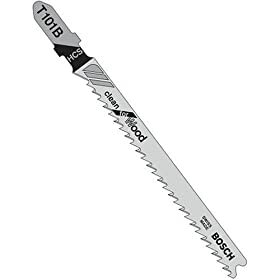 For anyone who isn't sure which jigsaw blade to buy, the 101B is the absolute best blade for almost all woodcutting in wood under 1 1/4" thick. It leaves the cleanest cut and is the easiest to use for design cutting of any blade on the market. I've been using them for 13 years and I've tried everything else. The Bosh jig saw and blades are at this point nothing new, as they have been around for 20 years or so. This is what you should have if you are a pro; and even for the handy person. 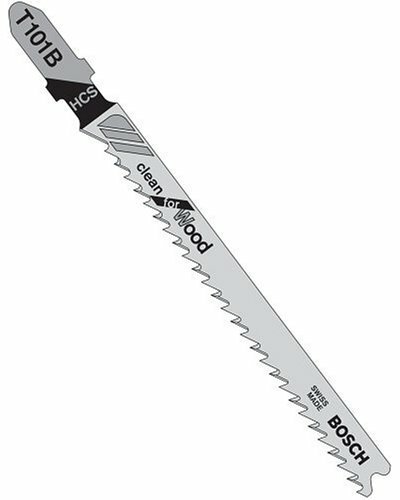 This is the finest saw and blade type in the world.